Singer, Songwriter, Multi-Instrumentalist, Actor Dalton Cyr is currently recording his fourth album with producer Mikal Blue. In April 2017, Cyr released his third album, “Breathe”, along with its accompanying music film trilogy which has been nominated and won multiple awards. Cyr created the concept for the “Breathe” film, wrote, directed, acted and scored the music for the film which tells a story about love, loss and recovery across three songs. 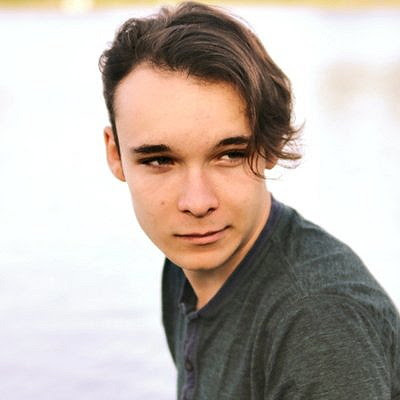 A prolific songwriter, described as Ed Sheeran and John Mayer meets Justin Timberlake, Cyr is a songwriter, vocalist, and guitarist on the songwriting team currently writing and recording new songs for the upcoming release of the digitally remastered Baywatch TV series. He is also a songwriter for multiple recording artists and his songs have been featured in TV and film. A Taylor Guitars’ artist, Cyr was inducted into Robert M Knight’s The Brotherhood of the Guitar, a group of guitarists identified as the legends of tomorrow. A high-energy performer who instantly captivates audiences with his powerful guitar, intense vocal delivery and lively stage show, Cyr began touring when he was 12 years old, and has performed throughout the U.S. in front of audiences as large as 50,000+. As a SAG actor, Cyr was recently cast as Rudolph Valentino in the upcoming movie “Silent Life”. 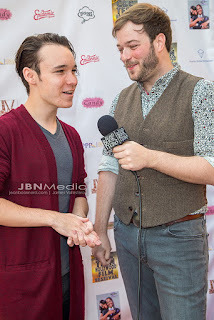 He starred as the lead “Judd” in Amazon Studio’s music-driven sitcom, “A History of Radness”. He played Holden in the movie, “TIME TOYS” which also featured two of his songs and had a recurring role in FreeForm's hit show "Pretty Little Liars", among others. He’s been nominated and won multiple awards for both acting and music including awards for his music film, “Breathe” including “Best Music Video”, “Best Filmmaker Under 18”, “Audience Choice” and “Best Original Song” and “Best Performance In A Music Video”, to name a few. 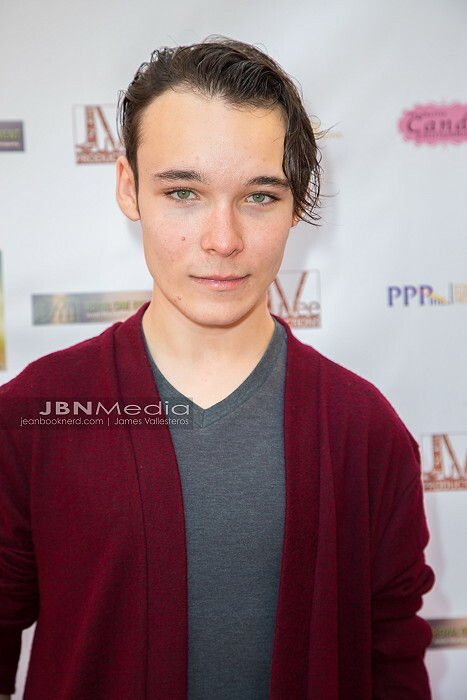 Cyr has appeared on numerous local TV talk shows, Radio Shows and in newspapers, magazines, and publications. He supports multiple charities and is a National Ambassador of The Dream Factory, a national organization that grants dreams to critically and chronically ill children. 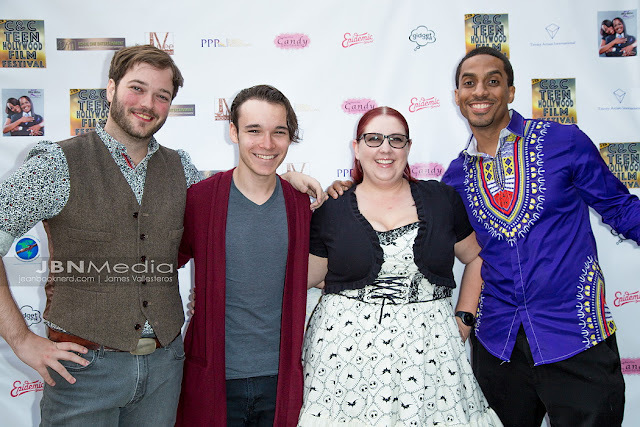 Dalton Cyr with the JBN Team; Americo Luke, Katrina Keeler and Allan Forte. 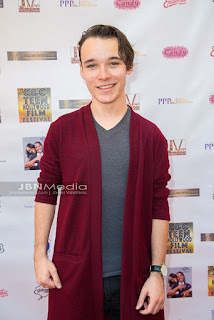 Dalton Cyr on the Red Carpet at C&C Teen Hollywood Film Festival. 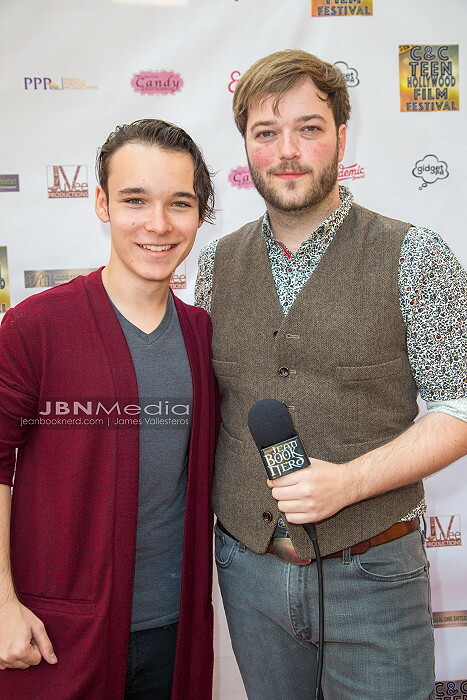 Dalton Cyr with JBN Journalist, Americo Galli at C&C Teen Hollywood Film Festival.